The congregation at Mission church did more than "leave the light on" - they welcomed us in! Greetings from Mission, Texas, where our group of seven intrepid adventurers from the Crafton Heights Church have come on an adult mission trip. 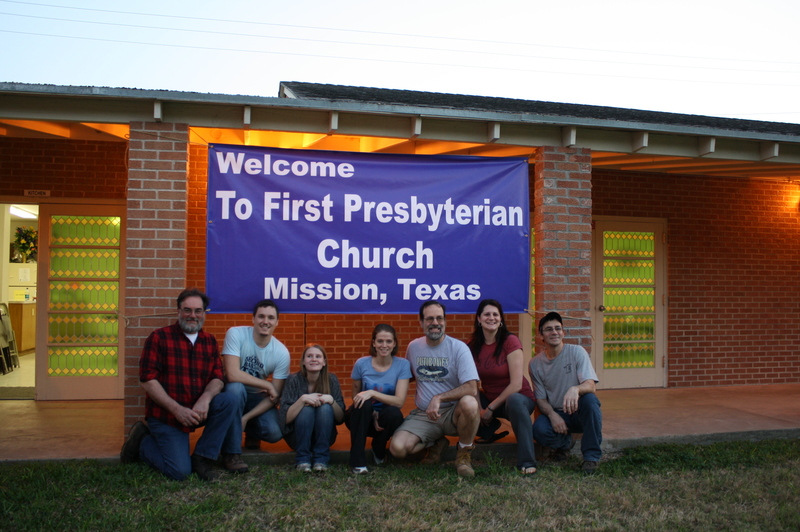 We are working in partnership with the good people at The First Presbyterian Church of Mission, where our friends Dave and Nadine Diercksen serve. Together with the Presbyterian Disaster Assistance and the Faith Communities for Disaster Recovery, we will work on a home that was badly damaged by Hurricane Alex in 2010. More about that in a moment. First, of course, we had to get here. That required an early-morning flight from Pittsburgh to San Antonio, and then a five hour van ride to the town of Mission, located right on the Mexican border at the very southernmost tip of Texas. We were greeted warmly by a team of members from FPC Mission, who had been grilling up a storm in anticipation of our arrival. We were honored to share a meal, not only with the people of the church, but with Hilary Shuford, the Executive Presbyter for Mission Presbytery who was making a visit to Mission along with her husband, Harold. 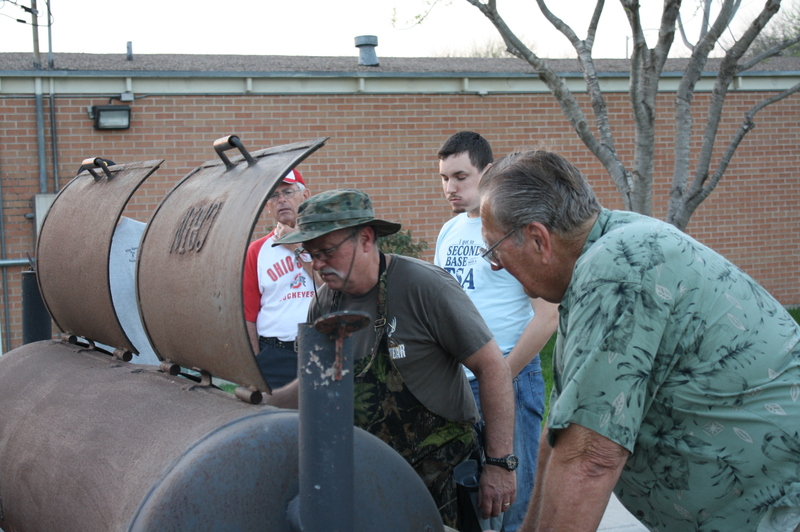 How many Presbyterians does it take to grill some venison sausage, chicken, and beef? Here's the committee! Sunday morning we woke up early and went to the first service at FPC, where we were able to lend our voices to a strong congregation’s time of praise and celebration. We were challenged and gratified to see the deep awareness of mission and giving that is permeating the culture of this congregation. Following worship, we drove over to our job site, where we met Don, a Methodist from Michigan who spends several months each year volunteering in disaster areas helping teams like ours connect with homeowners in need. 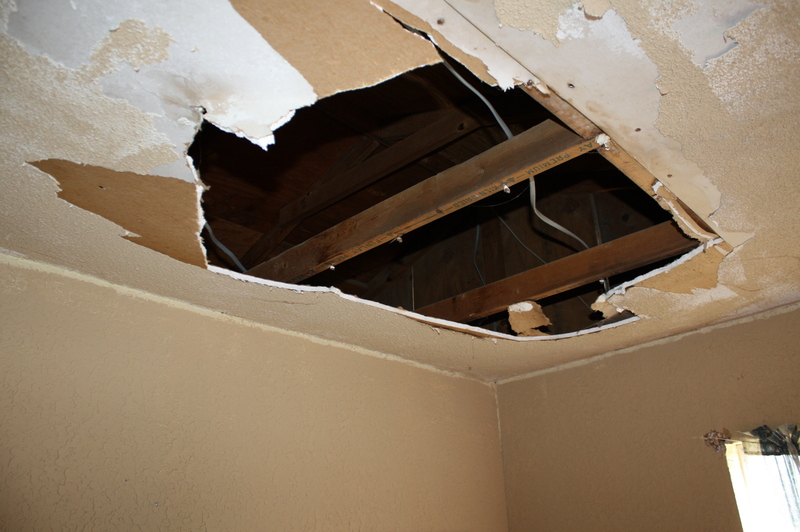 The house we’ll be working on beginning on Monday is in rough shape – the roof is shot, and that has affected most of the drywall on the ceilings inside of the home. We’ll start, Lord willing, by ripping off the old roof and putting on some new plywood decking. When we’ve finished with that, we’ll try to tackle the new siding and interior work later in the week. Prayers are appreciated! 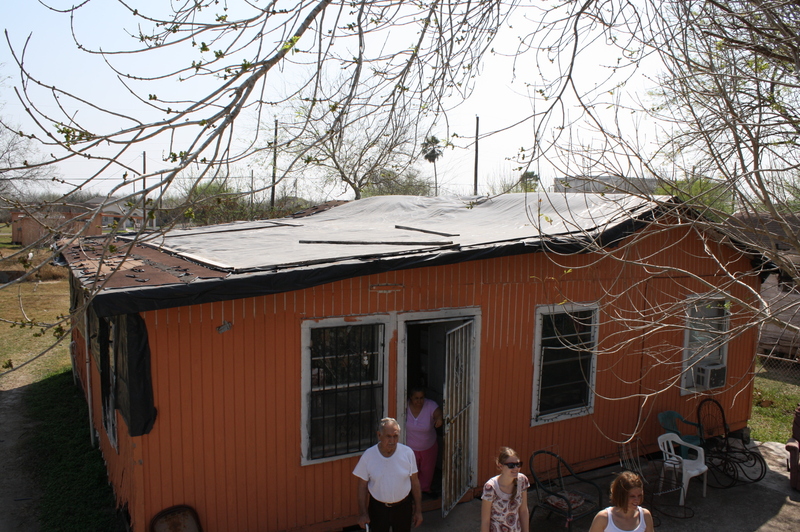 The bad roof is the root of most of the problems for these homeowners. Damage to the inside as a result of a bad roof. 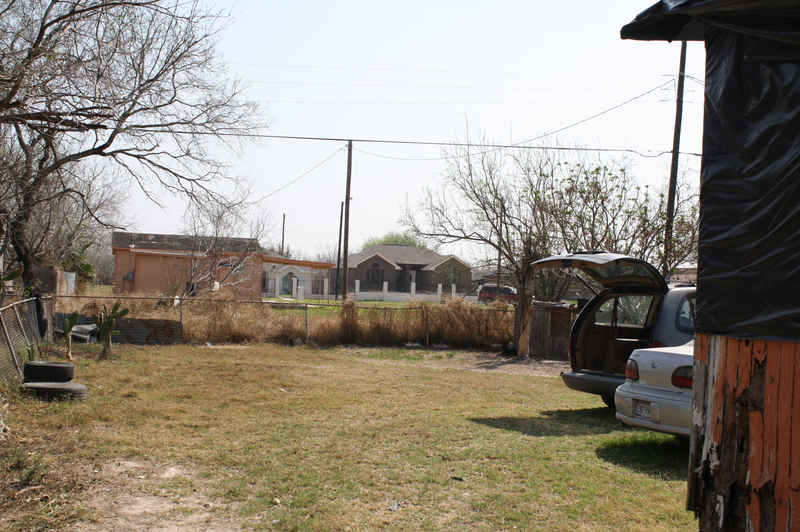 The view from the lot of our project home indicates the varied housing stock in the community. Greetings from South Padre Island on the Gulf of Mexico! 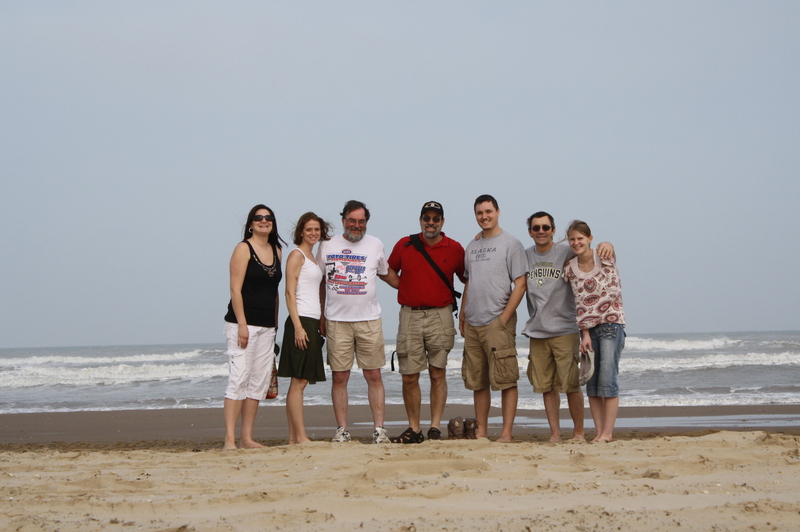 When we finished looking over the house, this crew of seven Pittsburghers (a somewhat pale and pasty lot, to be honest) decided that we couldn’t waste a day of 90 degree weather…so we drove on over to South Padre Island (about an hour or so) where we ate a little seafood, walked along the Gulf of Mexico, and visited a turtle sanctuary. It was windy and we were mostly traveling blind…but it was a great day to be together. We ended our day with a delicious dinner and shared devotions around the story of the Exodus. We remembered how God has met us in the wilderness places of our lives and where we have felt His guidance. It was a wonderful ending to a fantastic day. We appreciate your thoughts and prayers as we dive into the real work tomorrow. Mañana. 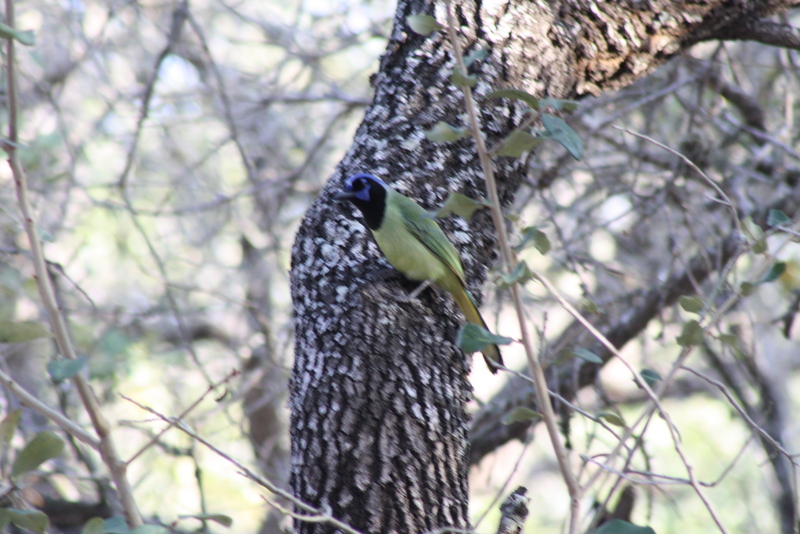 A beautiful Green Jay, just in case you think I've forgotten about the bird life in this part of the world! 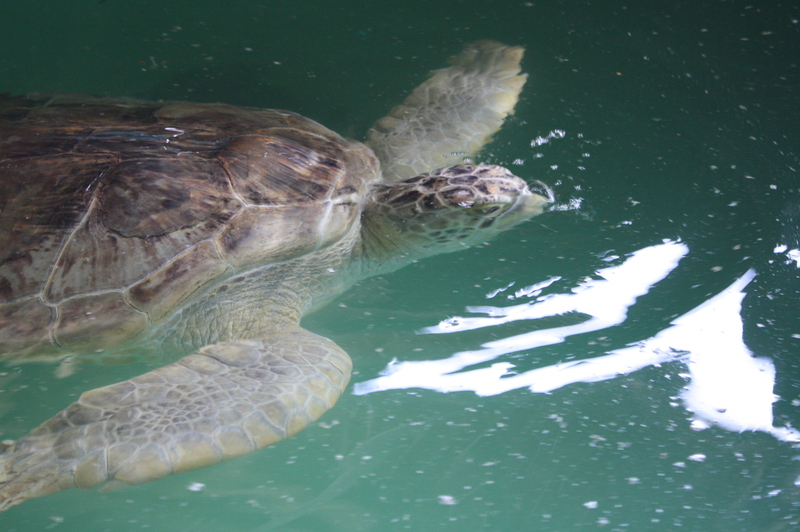 This fellow was one of dozens of recovering turtles being helped along at the Turtle Sanctuary on South Padre island. This message is the sixth and final in a series rooted in our congregation’s study of Max Lucado’s book Fearless. The scripture refrerences are Luke 9:28-36 and I Timothy 6:11-16. It was preached in the First U.P. Church of Crafton Heights on Sunday, February 20, 2011. If you were to get in my van for a ride this afternoon, you’d see a little souvenir from our Sabbatical. 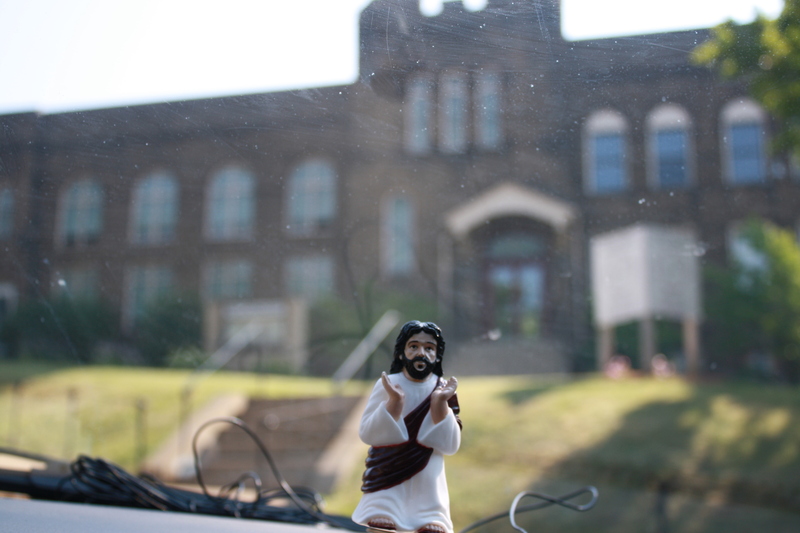 Right there on the dashboard I have my very own plastic Jesus. This was given to me by our good friend Brian Buckley, who knows that ever since I saw Paul Newman singing “I don’t care if it rains or freezes, as long as I’ve got my plastic Jesus sittin’ on the dashboard of my car…” in Cool Hand Luke, I’ve gotten a chuckle out of that. 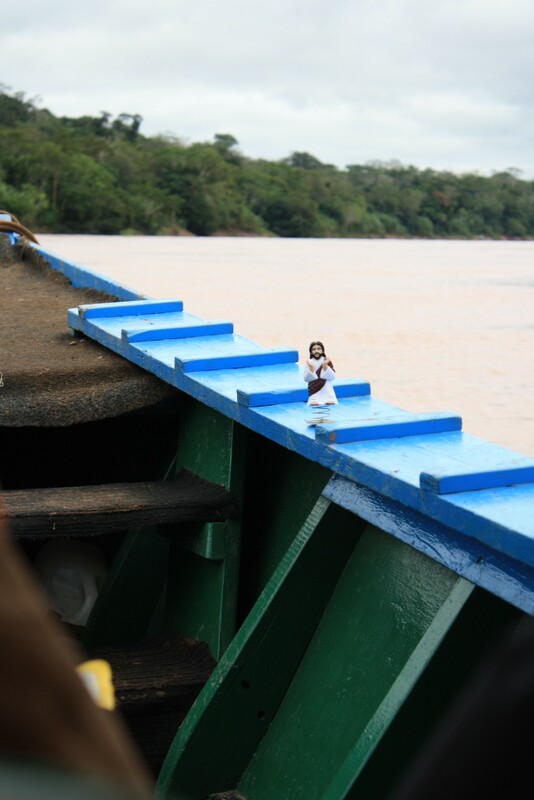 And those of you who saw some of the photos of our travels might remember that for much of the sabbatical, Plastic Jesus was around. 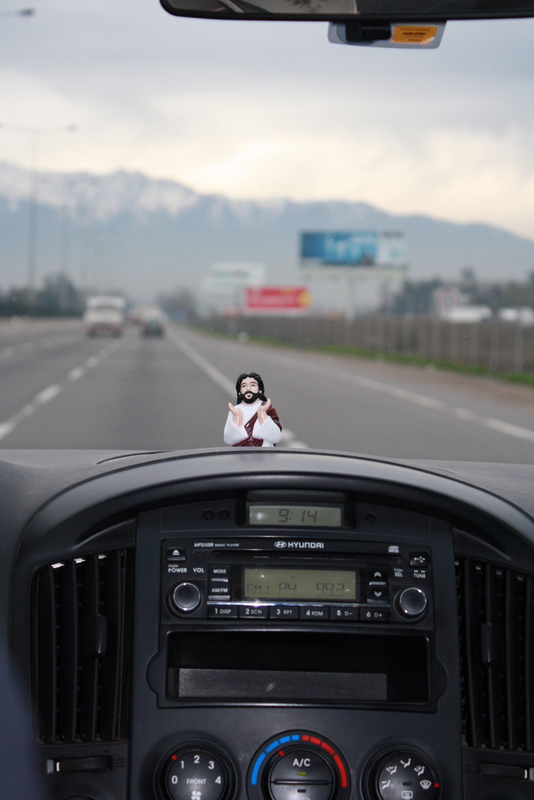 Dashboard Jesus with the Andes Mountains in the background. We took him to Chile, where he rode in our rental van; to Peru, where he led the way whether it was by canoe, bus, or train; and he sat prominently on the dashboard of the houseboat Bluegill at Raystown Lake. For us, it was a chance to remember, in a light-hearted way, that Jesus was with us every step of the way; we celebrated the presence of the Lord, we shared a few laughs, and we remembered that people here in Pittsburgh cared. It was all good. 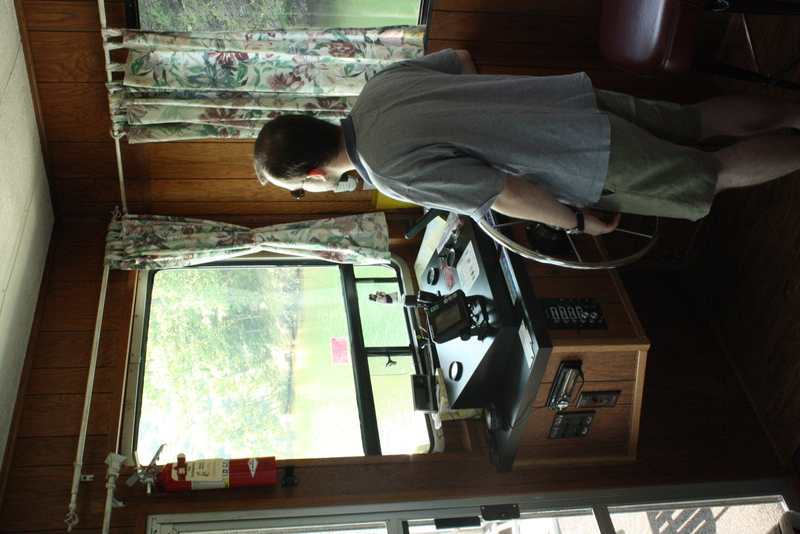 On board the Blue Gill (Raystown Lake) with our friend Jason at the helm. Until we got to the Middle East. Oh, Ariel and I took Plastic Jesus on that trip, all right. But we didn’t take him out of the box. And not because we forgot that Jesus was with us, or that we didn’t want to laugh, or we feared that we’d been forgotten. We left Jesus in the box because there was so much incredible religious imagery all around us, every step of the way, that we were afraid that people might not think that Plastic Jesus was as funny as we did. More than that, we didn’t want anyone to think that our fundamental belief about Jesus was that he was some sort of a “good-luck charm” that would ensure me a smooth ride or a safe flight. So as much as I wanted a photo of Plastic Jesus mounted on my camel saddle, I didn’t go there. It just didn’t seem right. I thought about my Dashboard Jesus when I read this week’s chapter from Max Lucado’s Fearless. The first twelve chapters of the book are, in one way or another, about how debilitating and derailing fear can be, and he encourages us to get past, over, or through our fears with the help of the Lord. But in chapter thirteen, he talks about what he calls “the one healthy fear” – the fear of the Lord. In his book, Lucado talks about the dangerous habit that many of us have of putting Jesus into a little box and setting him on the shelf (or on the dashboard), and relating to him more as an aspect of our lives, or as an endorser of a particular political party, or as a set of correct doctrines or beliefs. Jesus of Nazareth, the second person of the Trinity, the One who was, and is, and is to come, is definitely not box-sized, and we try to display him as such to our own detriment and peril. But “fear of the Lord?” Isn’t that a little much? I mean, really, don’t I spend ten minutes every week bringing your children down here and trying to convince them that Jesus is their buddy? That he really, really loves them? Why would we want to be afraid of Jesus? But, on the other hand, have you noticed that whenever the Holy shows up in the scriptures, just about the first thing that’s said is “Fear not!” Whether it’s Moses looking at the burning bush, or the shepherds in the fields, or the women going to the grave, “Fear not!” is the general greeting. There is something that is definitively intrusive about the Lord’s presence. There’s a phrase in Hebrew: Yir-aw YHWH. It is usually translated as “The fear of the Lord.” We find it nearly 140 times in Old Testament alone. Here’s something that’s important to note about this concept: in English, we say “Fear of the Lord”. How many words is that? Four. And in our heads, and in our language, we know how to break a phrase down. We know what “fear” means, and we know something about “Lord”. So we think we can dissect that phrase. And if we do, we might come to believe that “fear of the Lord” is like “fear of the dark” or “fear of spiders” or “fear of clowns”. Because that’s how our language works. But Jesus didn’t speak English. And as I’ve said, Hebrew speaks of Yir-aw-YHWH. As Eugene Peterson points out, “Fear-of-the-Lord is a word all its own. So we don’t look up ‘fear’ in the dictionary and then ‘God”, and then proceed to combine the two meanings: ‘fear,’ a feeling of apprehension, plus ‘God,’ a divine being worthy of worship, is not fear-of-the-Lord.” He goes on to point out that in that term, both God and the humans are active – that fear-of-the-Lord indicates a way of life that can’t be split into two parts any more than a baby can be split into the part that comes from the sperm and the part that comes from the egg. Fear of the Lord is a lifestyle that recognizes the power of God and the challenges of our world. Have you ever sensed this “fear of the Lord?” I bet that you have. Let me tell you about a couple of times I’ve sensed it, and that may help you to recognize it in your own life. A friend of mine was dying of cancer. She and her husband loved each other very much, and her body was wasting away. I went to their home, and knocked, and no one answered. I walked in, and as I peered into the living room, I saw that he was bathing her. Gently, so gently, he took a washcloth and dipped it into a basin of warm water and caressed her body – her ravaged body – with a tenderness that was palpable. There was a holiness in that room. I lay on my back and saw the glimmer of a billion stars in the Milky Way above the sands of the Sahara Desert on a moonless, cloudless night and simply didn’t have any words for how beautiful it was. I watched a grandmother pour out selfless and unconditional love on her grandchild, and I didn’t have any words. Do you know something of that feeling? The Fear of the Lord comes on you when you find that you are living a prayer. You either want to shut up and bask in it or you want to scream because it’s so beautiful. But as both Peterson and Lucado point out, it’s more than simply an emotion or a fleeting sensation. It’s a way of living. The question is, how can we go about shaping our way of living in light of these extraordinary bursts of God’s presence and holiness? I mean, let’s be honest – as much as we are overcome by these occasional glimpses of God’s presence, we’re not there all the time. How can we live in Yir-aw YHWH? For starters, let me encourage you simply to name it when you see it. A friend and I were wandering through the Vatican Splendors exhibit last month, and there were a couple of exhibits that just took our breath away. We had to stop and marvel. Eventually, someone said, “Wow, look at the way that…” Honestly? Most of what we saw was, well OK. But there were a couple of pieces that elevated us to the holy. And we named them. Paul does this when he is writing to Timothy. Did you hear what happened in our epistle reading? He started by giving Timothy a little advice, and by encouraging him to be strong and faithful. But the more he talked, the more he started thinking not about what Jesus wants us to do, but about who Jesus is – and the longer he stared into the heart of Christ, the more he forgot to give Timothy instructions and he ended up singing the doxology. Paul named the Holy when he encountered it. More than that, though, let me encourage you to build on that process of naming that splendor of God by cultivating a way of living that honors and respects the author of life. Can you nurture in yourself a pattern of living that allows you to be fully attentive to the things that God is doing? Seriously – in our culture, when we want to preserve a memory, we take a picture, right? And then we hurry up and put it on Facebook so our friends are jealous. How many pictures of Jesus survive from the first century? How many paintings or drawings exist? None. How many descriptions of his physical appearance do we have? Not a single one. How many of Jesus’ teachings do we have recorded? How many of his words have been saved for thousands of years? How many of his stories continue to shape reality? You know the answer to that: a New Testament-full. 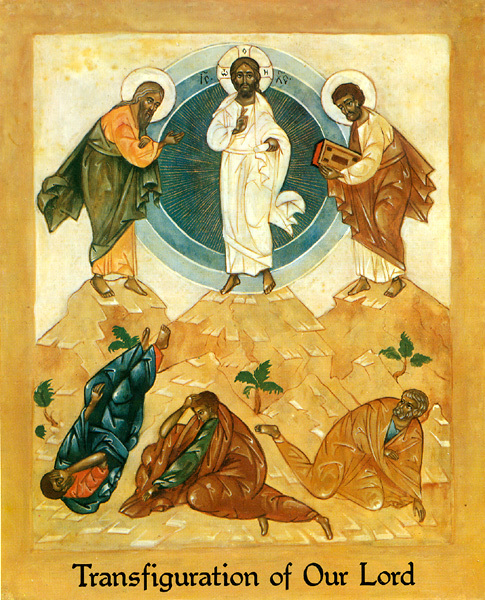 Did Peter, James, and John “get it” when God said, “This is my Son, akouete!”? You bet they did. They walked into this experience of the Holy and came out of it changed. They listened. They heard. They remembered. They shared. The things that Jesus told them became guiding lights for their lives so that no matter what obstacles they encountered in the days that followed, they never forgot the power and presence of Jesus. That’s what the Fear of the Lord will do to you. It’s an awareness of the fact that we live life in light of an amazingly powerful and overwhelmingly gracious God who won’t fit in a box or on a dashboard – but who has consented to enter into our very lives. And we honor that God by living as though his presence matters. Have you ever been in a cave? If so, you know that one of the things that always happens is that you get into the deep, dark recesses of the cavern the guide says, “OK, turn out your lights.” And it gets dark. I want to tell you, it is dark dark. Dark. Have you been there? A long, long time ago, I was with a group that was doing some caving in West Virginia. It was a part of a class on how to deal with stress and fear. So we went into this cavern and we crawled through the mud. We went through the vast colonies of bats. We got to the cold, dark, quiet place. And then the guide collected all of our flashlights. He turned out the lights and as we sat in the dark, he remarked about how black it was. And of course, people were scared. 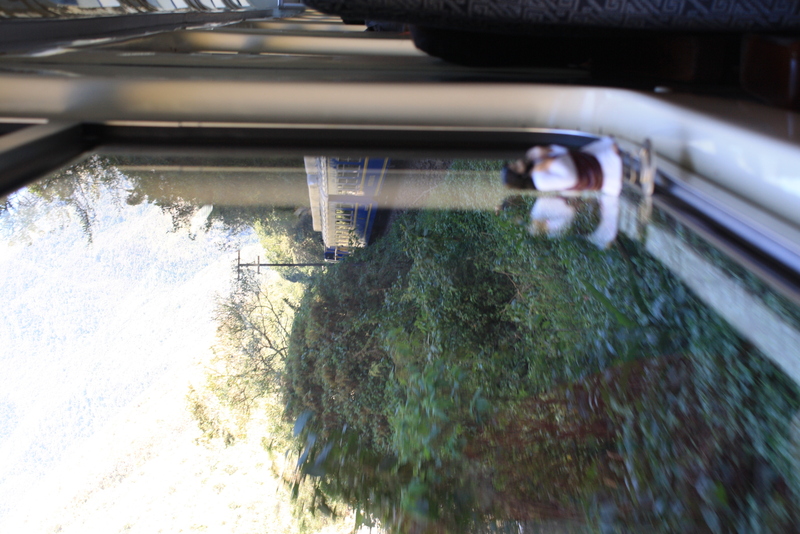 And then, the guide did something terrible: he told us that he wanted to take our education to the next level. So he put all of our flashlights in the bag and said that we were to make our way to the exit of the cave by ourselves, in the dark. And then he scampered away in the darkness. There were about twenty of us in the group. Someone suggested that we get in a single file line and each hold on to the belt of the one in front of us. The person at the front would have his hands free to feel the walls, floor, and ceiling of the cave and we could just relay the information down the line. For reasons that remain unclear to me, I was the guy at the front of the line. Well, I figured out what was happening. There was a huge hole to the right – big enough for a couple of people to fall into very easily. When I looked towards the hole, I was paralyzed and I couldn’t move. But when I looked into the flashlight and kept my hands where they should be, I was able to lead the line. That, I believe, is Yir-aw YHWH – the fear of the Lord. Concentrating on one thing so intently that the other threats, the other fears, the other distractions, fade away. Listen – I’m not promising you that you’re not going to be in caves, or that the holes won’t be there. I’m not promising you that you’ll be singing the doxology all the time. Yet my prayer for you, friends, is that you are able to look into the glare of the Holy and be led away from the fears that would slow you down. In the name of the One who was, and is, and is to come, Amen. Christ Plays in Ten Thousand Places: A Conversation in Spiritual Theology (Grand Rapids: Eerdman’s 2005), p. 42. As anyone who has read the last few posts will know, our congregation has spent the past weeks engaged in discussions centering on themes brought to light in Max Lucado’s book Fearless. At last night’s session meeting, several elders mentioned the fact that there were some people in their groups who had copies of the book that they’d be willing to pass along to anyone else who was interested in reading it (some families ended up with more than one copy). If you would like to have a copy to read, just send me an e-mail (or comment on this post) and I’ll see what I can do to get you a copy – first come, first-served. If you’d like some more information about the book itself, you can click here to be redirected to Lucado’s website. I was thinking this week about the scene of my earliest formal education – the elementary school in Ashbourne Hills in Claymont, DE. I wish I could say that I have all sorts of incredible memories of how my character was formed, or my intellect quickened, or my nature elevated in that place. However, this morning, the memories that come to mind all have to do with fear. I remember getting the snot beat out of my by Rosene Whealton’s older brother, who caught us walking home from school holding hands in the third grade. When he climbed off me, he hit me one last time, saying that he’d do a lot worse if he found out I tried anything else with his sister. Fortunately, I was in the third grade. It was two years before I even knew that there were other things to try, and we had moved by then. I remember Mary Curly and I sitting in the back row. In that building, each classroom had its own washrooms. Mary and I would sit and make faces and laugh when our classmates went into the bathroom and made, well, bathroom noises. And then, one day, I was IN the bathroom, and I was afraid that Mary was laughing at me. So from then on, I limited my fluid intake and just held it until I got home. 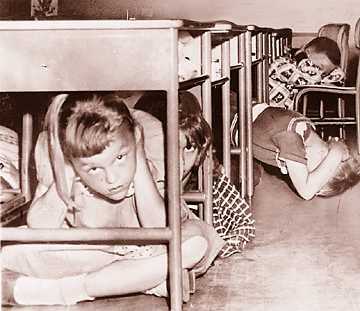 Students participating in "the drill" that was common during the cold war. But mostly, when I remember Darley Road School, I remember at least once, if not twice a month, the siren would sound and we would all dive under our desks. We did this because the Russians had bombers and missiles, and who knew when the Red Menace would try to wipe us all out. So we hid under our desks, with our fingers carefully interlocked over our spinal cords, listening for the drone of the Soviet bombers that were no doubt eager to kill a generation of America’s brightest and best. My number one memory from elementary school is an indelible fear that at any given moment, the world would end. And so I was afraid. Very afraid. Oh, relax, Dave. We don’t do that any more. That’s all behind us now. No reason to worry about that sort of thing now. Really? I’m not sure. Every day, I get messages from a couple of friends. One, in particular, lives life in a state of unending fear. He’s convinced that the jets that fill our skies are secretly leeching mind-altering chemical vapors. The government is poisoning us by mandating fluoride in our drinking water. The government is killing us by not regulating genetically modified food. The TSA is only the vanguard of a police state. The riots in the Middle East are the beginnings of a world-wide revolution and anarchy. There’s a lot to be worried about. And I don’t want to be flip – because there is cause for concern in our every day lives. We see the specter of terrorism more clearly now than we did a decade ago. There’s evidence that something weird is happening to the global weather patterns. The economy is awfully slow in turning around. So the old saying may be true: just because you’re not paranoid doesn’t mean that they’re not out to get you. There is cause for concern. We know catastrophe in our world. Luke 21 speaks to this fear of catastrophe. Jesus, in fact, knew what the disciples could not know: that this day of teaching in the temple would be his last full day of freedom. The next day, his ministry path would be incredibly altered when he was betrayed and then arrested. So Jesus, understandably, has a lot on his mind. Still, I wonder what the disciples were thinking in that moment. I mean, here they are, looking at the temple in awe. One of them makes an off-hand comment about how cool it is to be there, and how impressive the architecture is, and all of a sudden Jesus responds like a grumpy grumpmeister. “You think it’s nice now? Well, you won’t think that when it’s all destroyed, pal, I can tell you that. There won’t be anything left!” It must have seemed jarring to hear his words at that time. I suppose that in the next couple of days, they might have thought about that saying a little more – because, in a sense, the world did change very radically for the disciples when Jesus was arrested, tortured, and killed. My hunch is, though, that this teaching may have gone by the boards in the next couple of decades. I mean, after all, Jesus died, and then was raised, and then taught, and finally ascended to the Father. 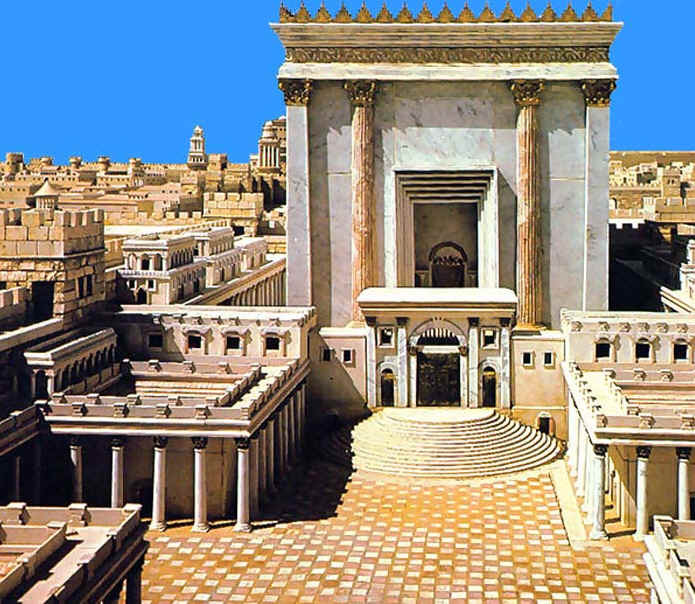 The church grew in Jerusalem; people came to faith, went about their business, and still the temple stood. Jesus first gave this teaching in about 30 AD. Luke was writing his gospel a generation later, and things were different as he was recording it. Followers of Jesus had begun to experience increasingly intense persecution for their faith. Believers were dying – just as Jesus had. Whereas people had once been filled with hope for Jesus’ return, now they were experiencing some trouble. 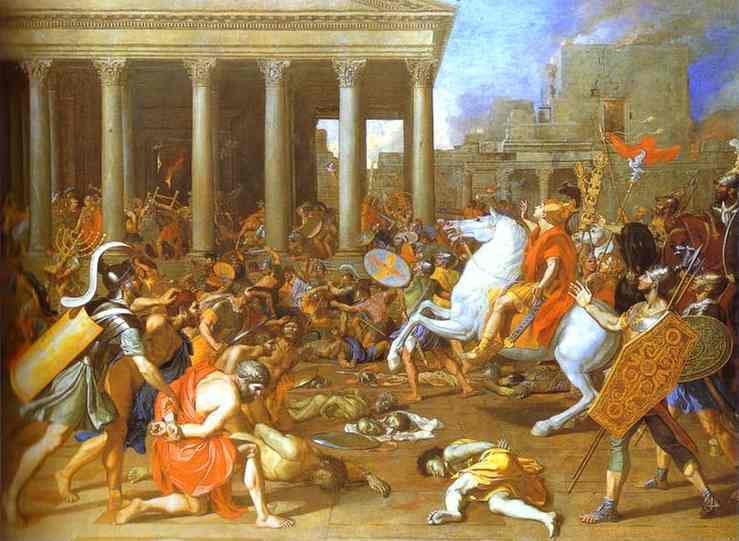 And then, sometime around 66 – 70 AD, the temple was destroyed by the Romans. At that point, I can imagine a lot of Christ-followers saying, “Wow, you know, I remember Jesus said something about this…” When Luke wrote about Jesus’ teaching, it must have had an incredible immediacy for his hearers. The type of literature that Luke presents to us is called “apocalyptic” – meaning that it has to do with the end of the world. I hope you were paying attention – and if not, that you will go back and re-read this passage. As Luke writes about what may well be the ultimate end of the world, there is no expectation whatsoever that Christians will escape struggle or pain. That’s important to note, so I’ll say it again: there is no reason to think, after reading this, that Jesus believed that his followers would be exempt from suffering. Disciples are not exempt from suffering… There are no scenes here of planes falling from the sky because believing pilots have been raptured or cars crashing on the highway because their drivers were believers and hence have been lifted to an indifferent bliss. According to our text, we are in a time of witnessing in the face of suffering and death, but ‘by your endurance you will gain your lives’ (v. 19). Jesus’ focus here is not so much “how do we get out of feeling uncomfortable” as it is “how can we look our fear in the eye?” How do we live in awareness of the fact that yes, as a matter of fact, it may be ‘the big one’? For Jesus, apparently, it comes down to trust: do I believe in the promises of God? Or do I believe that there is something more powerful that can disrupt those promises? In the days after Jesus’ death, the disciples would learn that Jesus’ crucifixion did not signify the end of the world. A generation later, they would learn that the fall of Jerusalem did not signify the end of the world. The church has learned, and re-learned the truth – that the death of those whom we love and the threats that are made against the people of God do not and cannot render God impotent. That sounds great, Jesus, but how do we get there? How do we live like that? Scary stuff still happens. I’m afraid! For Jesus, living that way meant holding onto the promises of God. Like most Jewish adults, Jesus would have memorized the Psalms – a collection of hymns and prayers that would tell the community who (and whose) they were. Above all else, worship the Lord. Before God there is nothing good. Cultivate your trust so that you can know peace. Why don’t we talk like that all the time? Because it’s hard, right? It took me twenty minutes to come up with those lines. But that’s how the Psalm is laid out in the Hebrew – verses 1 and 2 begin with aleph; 3 and 4 with beth; 5 and 6 with gimel, and so on. The words of the Psalm are a disciplined exploration of a faithful life, and I believe that the way in which they are written (adhering to a set pattern and scheme) is helpful in understanding the deeper meaning of the words themselves. There’s a sense in which the trust and the faith that are called for in the Psalm are a result of a conscious choice and a pattern of behavior and decisions. I’m not usually one to argue with celebrated Bible scholars who have written great books. James L. Mays, Ph.D. is the Cyrus McCormick Professor of Hebrew and the Old Testament Emeritus at Union Theological Seminary in Richmond, Virginia, and when he wrote about this Psalm, he said, “The choice is between faith and no faith.” I beg to differ, Dr. Mays, but that’s wrong. It’s not a choice between faith and no faith. We all have faith. To be human is to believe in something or someone. The question is, who or what do you trust? Do you trust your self? Your weapons? The odds? Your good looks and devil-may-care personality? Or do you trust God? Another way to ask the same questions (and to help me come through the terror of Darley Road School) is this: do we give ourselves over to worry and fear, and live lives that are based on reacting to the threat of evil in the world? Or, do we trust in the Creator who tells us who we are and how we are made – and do you remember how are we made? Fearfully and wonderfully (Psalm 139)! Do we trust in the savior who promises to go before us and to prepare a place for us, telling us not only where we have come from, but where we are going? You see, the Psalm is not some sort of a carrot on a stick that says, “You know, if you believe in God and keep your nose clean and do all the right things, only good things will happen in your life. The promises in the Psalms are indicators of truth. For instance, verses 4 and 5 read, “Delight yourself in the Lord and he will give you the desires of your heart; commit your way to the Lord; trust him and he will do this.” If you commit your way to the Lord, you are saying that you are allowing God to shape your behavior and your action. If you seek to delight yourself in the Lord, you are saying that you want to live a life that looks like God’s best. And if you live your life in such a way so as to be pointing it in a God-ward direction, then of course you will discover things that God has to show to you. The Psalm is not a promise that says, “If you are good, God will give you a treat!” Instead, it describes some consequences: if you seek to shape your life to look like God has designed it, you’ll find that you are satisfied with the way that God shows up in your life. If you commit to patterning your life along the lines that God has made you to live, then you will be more apt to sense God’s presence along the journey. Make no mistake, my friends, the world is full of people who have bombs and planes and who wouldn’t think twice about killing me. The environment is, in many ways, a mess. Terrible things happen all the time. The world is imperfect. as if the world would have slipped out of God’s hands. They act violently as if they were risking everything. But we believe in history; the world is not a roll of the dice going toward chaos. we cry out our first “Hurrah!” till eternity unfolds itself…We march behind you, on the road to the future. You are with us and you are our immortality. Take away the sadness from our faces. We are not in a game of chance…You have the last word! Friends, the truth is that I can’t control whether the Russians or anyone else is going to bomb me. Heck, I can’t keep my fish tank water from becoming too cloudy. But I refuse to live in fear or terror of a cataclysmic event. And so I will try to do what Jesus did: remember the promises, and live my life shaped by them. When I do a good job at that, then encourage me. When I appear to be forgetting them, then remind me. Interpretation Bible commentary on the Psalms (Louisville: John Knox, 1984) p. 158. This is the message I preached to the Crafton Heights church on Sunday, February 6, 2011. It is the fourth message in our series that stems from our congregation-wide study of Max Lucado’s book Fearless. The scriptures that we began with are John 14:1-4 and I Corinthians 15:20-26 (you can see the passages by clicking on those links). A couple of weeks ago, I let you in on a little inside information about your pastor. Do you remember when we read Psalm 139, and I told you that one of the most important moments in my ministry came when I, as your pastor, got to sit down with one of you who was just a couple of hours old and read to you the truth of God’s word: that you are fearfully and wonderfully made, and that you are precious in the eyes of your Father? How good it is to know that, and how wonderful it is to be me on those days, when I get to announce that to the little screechers with whom God has blessed us. On the day that you are born, I want to be there to read Psalm 139 to you. Today I will share with you a parallel quest. It is my intention, to the extent that such is possible, to be with you in the hour of your death. As on your birthday, I do not seek this time because I love you (although I do!). I hope to be with you as your life ends because I believe that one of the core responsibilities of a pastor is to serve as a reminder of the truth of the Gospel. Just as I hope that Psalm 139 is one of the first things you ever hear as you begin to discover your identity, I want one of the last things that you hear on this side of glory to be those words from the Gospel of John that we heard earlier. As the shadows lengthen for you and you may begin to wonder what’s going to happen, the Church needs to remind you that you have a place, and that it’s eternal. Now don’t misunderstand me: just as I read Psalm 139 on a lot of occasions, I also turn to John 14 with some regularity. I say this because I don’t want you to be sitting in the hospital feeling pretty good after that gall bladder surgery, and I happen to read John 14, and then you think, “Oh, no! Pastor’s reading from John! They must not be telling me everything! I guess it’s curtains for me!” It’s an elemental truth, my friends. We need to hear it over and over again. One of the places where this promise from Jesus became important in my pastoral ministry was at the bedside of a woman who died two decades ago. She had lived with cancer for more than twenty years. That horrific disease would attack one part of her body and she would beat it back. It would pop up again a few years later, ravaging another aspect of her self, and she would again go under the knife or through the treatments. Finally, though, her body gave out and she and her husband knew that her time was short. She called me and asked me to come and see her. Know this, my friends: I loved her. As much as I wanted to be a good pastor to her, I was her friend. And I was devastated by her impending death. And I will never forget when I went to her room one morning and we read John 14, and then as we talked about her disease, a tear ran down my cheek. My friend sat up in bed and said more sternly than I’d ever heard her speak, “Now you listen to me, Reverend David Carver. Don’t you come in here boo-hooing about the fact that I have cancer and I’m going to die. I do. I am. But you either believe all that scripture you just read, or you’re a liar. If you believe it, then I need you here as my pastor and friend to celebrate my life and help me prepare for my death. And if you’re a liar, then go home and cry about it there. I don’t have time for this.” And then she slumped back in bed, exhausted. That’s the paradox of belief, isn’t it? Frederick Buechner writes that “faith is a kind of whistling in the dark…an attempt to keep the spirits up while peering into the shadows for some glimmer of Meaning.” The old bluegrass song put it this way: “Everybody wants to go to heaven, but nobody wants to die.” We say that eternal life is amazing, and we hold on to the promise of hope in Jesus Christ, but we are at the same time scared to death. How about you? Do you have necrophobia – the fear of death? Statistically, it’s the number two fear among adult Americans. As you walk through the day today, take a look at how diligently our culture has tried to hide death from us: very few people die at home – we usually are sent to the hospital or the nursing home for that; the ads you’ll see on the super bowl tonight will be about ways to help you look or feel younger; people will give you all kinds of tips about how to hide your age or deny your mortality. But you know the truth, my friends. You are dying, and so am I. Death is a terrible thing! It is an evil and insidious presence. There are times when it confronts us as incredibly tragic – as when a child is killed in an auto accident, or a young person is stricken with an incurable disease, or a group of men is obliterated in a battle zone. And death sometimes, well, sometimes it can be the least terrible option at the time. I had a friend whose body betrayed and betrayed her until she could only move her eyes. She knew the depths of Emily Dickenson’s poem that read, in part, “Because I could not stop for Death/He kindly stopped for me; The carriage held but just ourselves/And immortality.” Whereas some of our friends seem to have their lives taken from them suddenly, and therefore see death as a malevolent intruder, others whom we love have gone through days and weeks and months and years of erosion until death comes as a release or a blessing. In either case, however, we confess the truth: that death hurts. Death is wrong. Death is not how things should be. And they are. I love walking with a couple down the path of preparation for marital bliss. But my friends, let’s not forget one important thing: we cry at weddings, don’t we? Really? You only cry at weddings because you are overcome with joy? Excuse me, sir, but I believe your pants are on fire. We do not only cry at weddings because we are happy. There is death at a wedding. Every wedding. At the next wedding you attend, look for the man whose wife left him for someone else, and he’s raising the children and struggling with loneliness. Keep your eye on the fourth bridesmaid from the center, the one who has begun to wonder if she’ll ever, ever get to wear the white dress. Don’t forget to glance at the middle-aged couple who stopped speaking to each other about anything more meaningful than the dinner menu four or five years ago. Those people will all be crying at that wedding, and they won’t be tears of joy. I’m not down on weddings, my friends. I love them. But we need to go into them with our eyes open: they are not all happy clappy occasions wherein all we encounter is sweetness and light. There is loss at a wedding, just as there is at a funeral. Why? Because weddings change reality. And, as human beings, we experience almost every change as a loss, at least at first. I have a friend who is like a sister to me. Or a daughter. Or a niece. I’m not sure. She’s something special, that’s for sure. And she has been my fishing buddy. And we have taken long walks and talked about incredible ideas and laughed ourselves silly over things that my own daughter, or my wife and most other normal people just didn’t get. And one day she brought a young man into my presence and told me that he was the one for her and they asked me if I would marry them. And I did. And it was beautiful and lovely and happy. And I cried that day. Yes, I cried because she was beautiful, and because they were happy, and because the family was gathered. But I also cried because I knew that my fishing trips were numbered and that our long walks would change. Do you see what I mean? Yes, I know I’m a selfish jerk some times, but don’t pretend that you haven’t felt that way too. Weddings and funerals change our reality, and change is uncomfortable. It helps me to think of a funeral like a wedding when I can remember that I’m not altogether crazy about all of the changes that either one of them brings to my reality. After the wedding, there is so much that is different: a new address, a new name, some new priorities. And when we take the time to reflect, if we are honest, we admit that there is a lot to miss about what we are leaving behind. We had good friends, and we liked that little apartment, and it was fun to stay up all night whenever you wanted to without having to explain yourself…but when we get married, we trade all of that in for something that we reckon to be better. We leave behind what we know and much of what we have enjoyed because we believe that the things to come will allow us to know more and deeper life than we ever have. As we prepare for our own deaths, we lament the things that we will miss. This is a good, good life. We have friends. We share love. We laugh and walk and fish and talk and do all sorts of things that make us human and that remind us of God’s goodness. And death – our own, or someone else’s – interrupts that goodness. It interrupts it – it does not end it. Paul makes this clear in I Corinthians 15. I would encourage you to go home and read that entire chapter this afternoon. Death is an enemy! Death is devastating! But as Paul reminds us, death is not the last word. Resurrection is the last word. In the story that begins in Genesis and ends in Revelation, Life always wins. Always. Paul tells us that just as God began an incredible thing in the Garden of Eden only to see that get infected by the cancer of sin and death, so too he will bring that thing to completion by the gift of new life and resurrection – not just for Jesus, but for all those who believe. Now, my friends, make no mistake. I am not suggesting that death is easy or painless. It is not. One day when I went to read John 14 with our friend Dorothy Larimer, she rolled her eyes at me and said, “Listen, David: don’t ever forget that this stuff isn’t for sissies. It’s hard work, you know.” I know, Dorothy, I know. But the thing that she knew, and that I know, and that I proclaim to you now, is that while facing our own deaths, whenever they may come, is not be easy, the hope that we have been given in the resurrection of Jesus from the dead is true. And because it is true, three or four days after your pastor prays with you and reads you John 14, he will gather with some of your family and friends and read them the same text, along with Romans 8 and any number of other promises from God. And we’ll share a few laughs about you. And we’ll cry – not because it’s hopeless for you, but because we don’t like that change. and to earth we shall return. You know that I take seriously the symbols that I wear each Sunday. My alb is the robe of a shepherd. Most of the church is clothed in green, which is the color for “Ordinary Time”, but today I’m wearing an advent stole, rich in blues and purples and golds. Advent is a time of waiting, a time of reflection, and a time of hope. My friend who lived with cancer for 20 years and scolded me into being honest about believing the promises of God was a weaver, and she made this for me before she died. I thought it would be all right for me to wear it today as a reminder that even though Advent is only four weeks long, hope and faith are always in season. In an age of anxiety, when so many of us live in fear, let me remind you again, my friends, that you are not alone; that you are fearfully and wonderfully made, and that even as we march to the grave, the last word is “hope”, not “fear”. Are you going to be changed? You bet. Lost? Not going to happen. Thanks be to God. Alleluia. Amen. After preaching this message, I sang James Ward’s arrangement of Rock of Ages. You can listen to James Ward singing it by clicking on this link: RockOfAges If you do so, you’ll download a powerpoint show that will allow you to hear the song. It’s worth it. The photo is from the desert of Wadi Rum, in Jordan. The Poems of Emily Dickinson, Ralph W. Franklin ed. (Cambridge, Mass. : The Belknap Press of Harvard University Press, 1998). In March of 1976, the employees of Boeing set a world record for the longest commercial flight when they delivered a 747 from the state of Washington, USA to Capetown, South Africa. South African Airways needed the new long-haul jets because, due to the apartheid regime, much of the airspace over the African continent was closed to their fleet. I’m not certain, but I’m pretty sure that my friend Frank was on that flight. Frank grew up in Pittsburgh, but found himself working for a good bit of his life in Washington. When our family was planning our first visit to Africa, some of our friends looked at us as if we were nuts to want to go that far afield. But Frank? He smiled at me and told me about his trip to Africa. I wish you could hear this in his voice, rather than read it, but since he passed away a few months ago, this will have to do. “The company promised that the plane would be ready and they knew – they knew – that we wouldn’t have time to get it ready. So we waited until the last possible minute, and then I put my whole crew on the plane and told the pilot to take off and get us to Africa. Well, I told my boys that we had eighteen hours to get that job done, and those guys were crawling all through that plane pulling the wires and installing the seats and whatever else needed to be done. I don’t know how we did it, but by the time we landed, the plane was ready for delivery!” And then he roared with laughter and told me, with joy, about how he actually flew the plane for a while while it was en route. I did a little research, and discovered that a Boeing 747 Jumbo Jet has six million parts, including 1.5 billion rivets, eighteen tires, and at least twenty-two exterior doors. More in Frank’s line of interest, there is a mile and a half of wire. 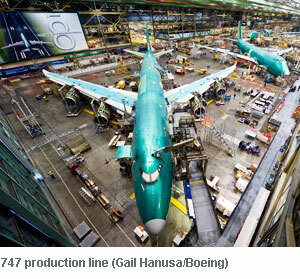 747s are, not surprisingly, incredibly complex machines! 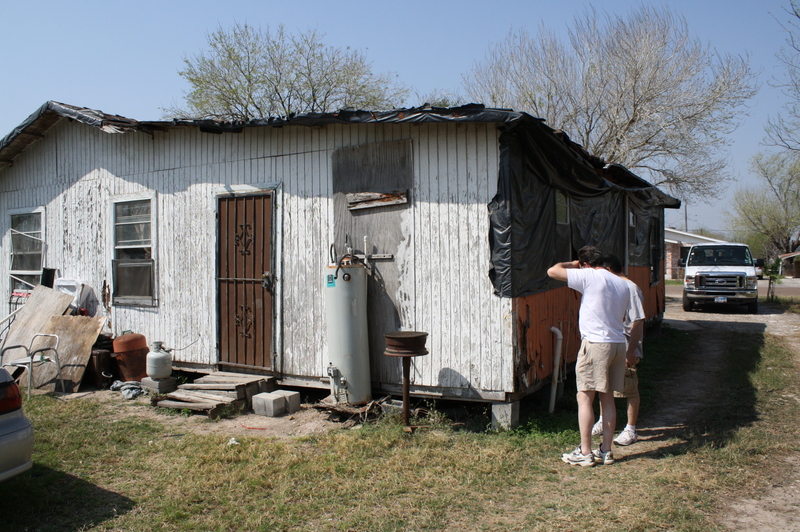 I thought about Frank’s story as I prepared for our congregation’s annual meeting this week. Those of you who know the church are aware of the fact that we’ve been going through some pretty major changes in the last few years. Our building has been revamped, our by-laws have been updated, and our organizational structure has changed. In addition, we spent three months on a pastoral sabbatical. Lots of changes…lots of changes. To be honest, we’re not all there. Some of our practices have yet to catch up with the structure that has changed. Put it another way, some of our actions don’t match our intentions. We’re still learning. But the thing is this: we’re flying. Some of us may be crawling through the interior of the cabin pulling wire and installing seats and doing who knows what else, but we’re on the way. The plane isn’t finished yet, but it’s in the air. I am pretty sure that it’s not just jumbo jets or old churches that do this. The more I think about it, the more I see that for much of our lives, we’re doing the same thing. It seems to me that one of the things that makes life interesting is that even when we are at our best, we are doing one thing pretty well while we’re learning how to do something else. I’m not advocating for shoddiness in faith or practice, my friends – merely suggesting that if we were to wait until everything was “just right” before we started anything, well, we’d be doing a lot less flying. Anne Tyler makes this point well in her excellent novel The Amateur Marriage. In telling the story of Michael and Pauline Anton’s marriage, she points out that there are many, many times where you’ve got to fail in order to become a pro. Both husband and wife in this marriage reflect their surprise that they and their peers spend much of their lives fumbling through what they somehow thought would be “automatic” once they grew up. One of my favorite people in the world is a young woman in our community who is an amateur mother. She grew up in a home where she did not know her biological father and was abandoned by her mother when she was fourteen. Not surprisingly, she found herself pregnant while still a teen and now has several children. When she had her first child, I asked her, “How do you learn to become a mother when you’ve not had a great role model?” She smiled shyly and simply said, “I don’t know. I just want to give my kids the things that I never got.” I’m proud of her because those kids have a stable home, they know both their parents, and they are gracious and generous children. My friend found herself in a plane that had already taken off while she was still pulling wires like crazy. She would say that the job is nowhere close to being finished – but that she’s doing all right. How about you? Are you waiting around the assembly line for everything to become perfected before you take the the first step? 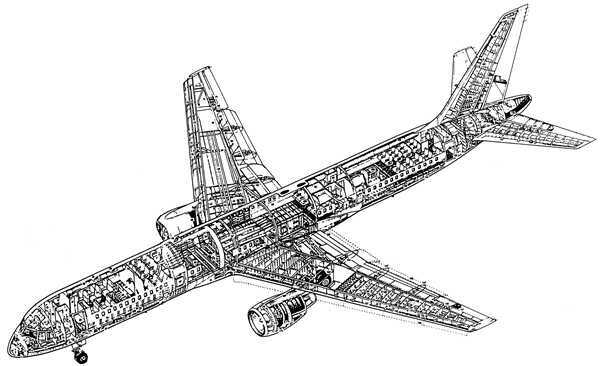 Or are you crawling around in the fuselage wondering if everything will come together? Let me encourage you to take a step or two forward in faith, and to do your best with what you have. The scriptures are full of people who gave what they could when they had it, only to find that in their giving, they were blessed to do more (for starters, see Genesis 22, where Abraham learns about God’s provision at the time of sacrifice; or I Kings 17, the story of Elijah and the widow; or I Samuel 17, where David goes to meet Goliath with the weapons at hand, or Mark 12, where Jesus commends the widow for offering all her assets to the Lord). Together, may we call each other to fly when we can and pull wire where we must. Maybe we’ll set a record. Even if we don’t, I bet that we, like Frank, will have some stories to tell in the years to come.